Jay Equipment & Systems Pvt. 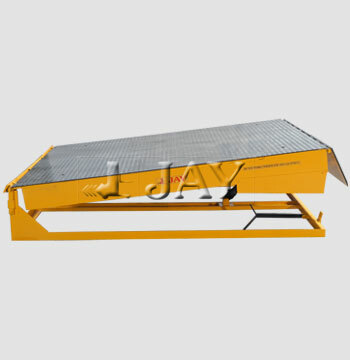 Ltd.
'JAY' Electric Dock Levellers are an adjustable ramp which compensates the difference in height. 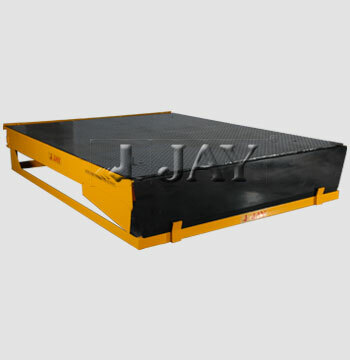 The lip arrangement on dock leveller bridges the gap between factory/warehouses and the bed of transport vehicle for easy movement of material handling equipment. 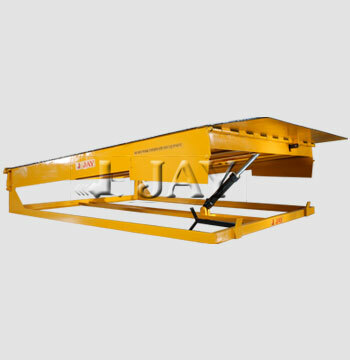 These equipments are the most effective solution for loading/unloading applications and is widely used warehouses/factory/logistics area. It can lift up by 300mm and down by 250mm from the floor level. 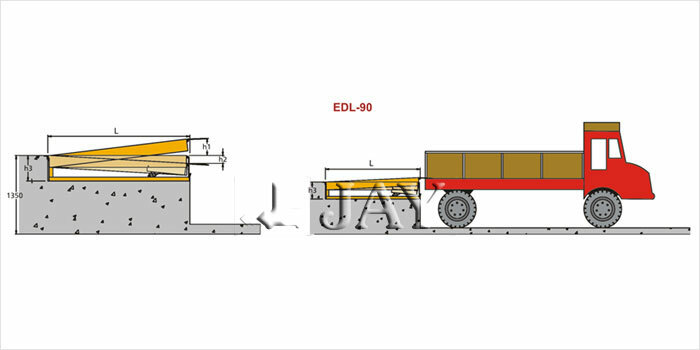 The EDL-90 series electric dock leveler is designed to lift a maximum weight of upto 9,000 kg. The series is available with an AC power pack unit. One HP motor with 3 phase 415 volts, hydraulic pump and valves of modular type of reputed brand, hydraulic cylinder with hard chrome piston rod. A control panel with wall mounted with individual press on switch for deck and lip. The design comes with a paint finish if golden yellow and black shade. Copyright © 2015 Jay Equipment & Systems Pvt. Ltd. All Rights Reserved.